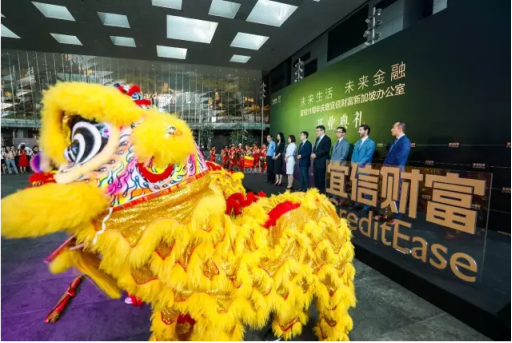 August 20, 2018, Beijing —— CreditEase Wealth Management announced today the establishment of the Overseas Wealth Management Department, which will provide wealth management services to high-net-worth Chinese abroad, and appointed Ms. Zhao Ruobing, senior vice president of CreditEase Wealth Management, as head of the department. Ms. Zhao has more than 20 years of experience in the wealth management industry. She joined CreditEase Wealth Management in 2008 and is a senior executive of the company. In 2013, CreditEase Wealth Management established its first office for overseas business in Hong Kong, China. It established the Singapore branch in 2014, the Israel branch in 2015, the New York office in 2016, and the Silicon Valley branch in San Francisco in 2017. In 2018, CreditEase Wealth Management expanded the European market and branches, and obtained corresponding licenses in the local markets. Currently, the company manages over 100 billion yuan in assets for hundreds of thousands of high-net-worth clients in China. CreditEase Wealth Management has always been committed to helping clients provide investment, products and opportunities for major asset categories, including a wide range of overseas living services, such as overseas study tours, overseas education consultations, investment and immigration, overseas property, tax planning, legal service referral, insurance, family trusts, high-end institutional internships, and so on. It is worth mentioning that just recently, CB Insights, a world-renowned market research organization, released the annual list of the world's most-active financial technology investment institutions as of the first quarter of 2018, and the CreditEase FinTech Investment Fund (CEFIF) from CreditEase was once again on the list, rising from seventh place in December 2017 to third place in 2018, once again demonstrating CreditEase Wealth Management's overseas investment ability. CreditEase Wealth Management, the wealth management arm of CreditEase, focuses on comprehensive global asset allocation services for high-net-worth individuals and affluent Chinese investors. It also offers a wide range of services that include investment, immigration and international education advice, as well as products across different asset classes, including fixed income, private equity, capital markets, real estate and insurance. CreditEase Wealth Management is committed to providing high-quality products and services in line with customer needs and expectations, as well as helping formulate comprehensive plans for wealth preservation and growth. CreditEase Wealth Management was named the Best Non-Bank Private Wealth Product in Asian Banker’s “China Private Banking and Wealth Management Awards 2016,” and was recognized as the Best Non-Bank Private Wealth Management Organization in China in 2017. The same year, CreditEase Wealth Management won the Best Wealth Management Firm of the Year in AsiaMoney’s “China’s Outstanding Independent Wealth Management Organization Awards,” and won this special honor again in 2018. CreditEase Wealth Management also won the Best Wealth Manager for Fund of Fund Award in 2018.